I got this as a sample in a Sephora order a while back. Isn't it cute? I love the packaging and the bottle. The scent is just okay... Not really my thing. It's a fruity floral that reminds me of something like Britney Spears Fantasy. Candy-like. The notes are: Cassis Sorbet, Italian Mandarin, Apple, Magnolia Blossom, Freesia, Orange Flower, Tonka Bean, Vanilla, Musk. But the package! SO. CUTE. 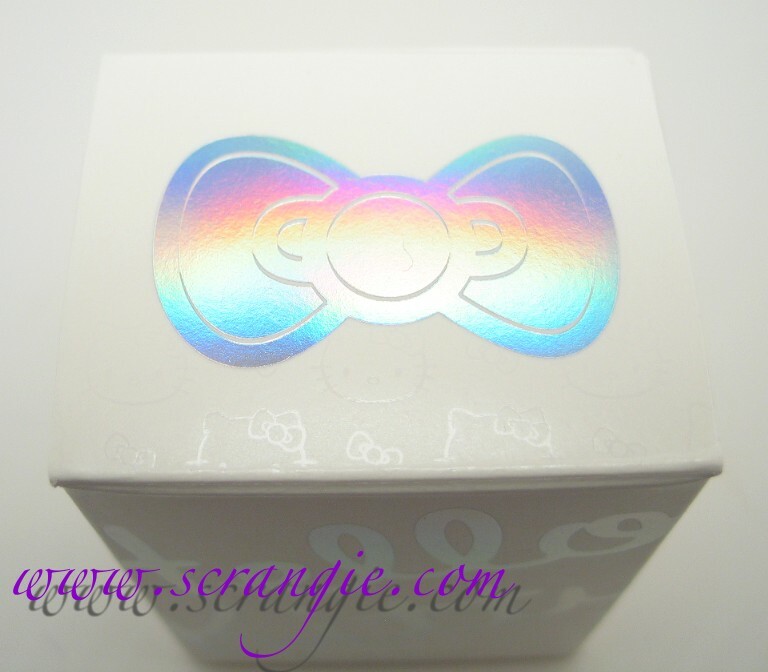 It has holographic foil! The bottle is in the shape of a cat head! Hello, my name is Scrangie and I'm a complete sucker for packaging. Oooh, what a pretty box and bottle! I'll try anything once, I'd like to give this a sniff. I got a sample from Sephora myself. Reminds me of Donna Karan Be Delicious. Not my thing either. As another sucker for cute packaging, I have been wondering what you do with it all? Do you keep the bottle in the box? I feel bad throwing it out when it's cute, but I have all these empty boxes. I am just like you, total sucker for packaging! Sounds nice tho, I hafta sniff it next time I hit up sephora. That's nice packaging for a sample. I took a whiff of this fragrance in the store, and I wasn't impressed either. However, I couldn't resist those cute, little kitty head bottles, so I wound up buying two of the polishes. It got the two glitters, Pink Sprinkles and Purple Sprinkles. It sounds like it would smell nice, but I know you and I have similar taste in smells so I'm gonna trust you on this one. I've been eyeing this just for the bottle alone. I bought the polishes which I loved. I will definitely skip this fragrance. Don't like those type of candy smells, ick.